NEW ENGLAND FARMERS UNION: A Time for Advocacy at the Annual Convention! We are thankful this season for our community of co-ops and their members, for the opportunity to be part of something larger than ourselves. From its beginnings over 150 years ago, the co-operative movement has sought to empower people from all walks of life to meet their needs and aspirations, together — an ideal that continues to guide us today. In keeping with the values of equality, equity and solidarity of the Co-operative Identity, we continue to strive for a more fair, democratic and inclusive economy and society for everyone. All are welcome to shop at our food co-ops, and if you are not yet a member, we hope you will consider joining as we work together to build community ownership, increase access to healthy food, and grow good jobs. Together, we are working to build a more healthy, just and sustainable world. 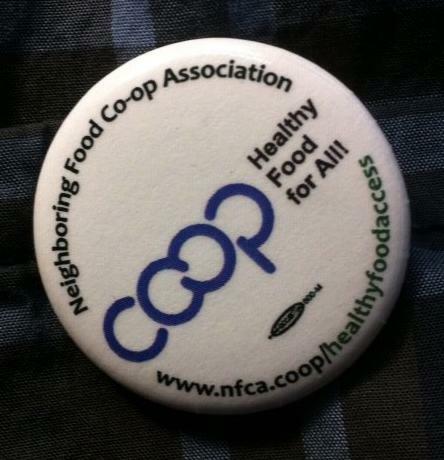 To learn more about what we do, or to find a food co-op or start-up near you, please visit http://nfca.coop. This October, the Neighboring Food Co-op Association (NFCA) and its member food co-ops joined over 30,000 co-operatives and credit unions across the United States in celebrating Co-op Month. For 2016, the National Cooperative Business Association CLUSA International (NCBA CLUSA) theme invited co-ops to complete the phrase “Co-operatives Build…” in a manner that reflected their priorities, whether they be trust, community, or jobs. For example Franklin Community Co-op, which operates Green Fields Co-op Market and McCusker’s Market, focused on how co-operatives build food security (photo at right), while Fiddleheads Natural Foods Co-op in New London, CT, emphasized how they build relationships with local producers. To help food co-ops tell their stories, the NFCA created a Co-op Month web page of action ideas, and sent out a mailing of resources including “Ask Me How Co-operatives Build” buttons for staff, bumperstickers, and “Go Co-op” shelf tags to help build consumers awareness by promoting products from co-op suppliers. Monadnock Food Co-op in New Hampshire highlighted co-op suppliers such as Equal Exchange and La Riojana wines, while Middlebury Natural Foods Co-op in Vermont published co-op profiles and offered weekly sales on their products, including the NFCA’s own Northeast Grown Frozen Blueberries. 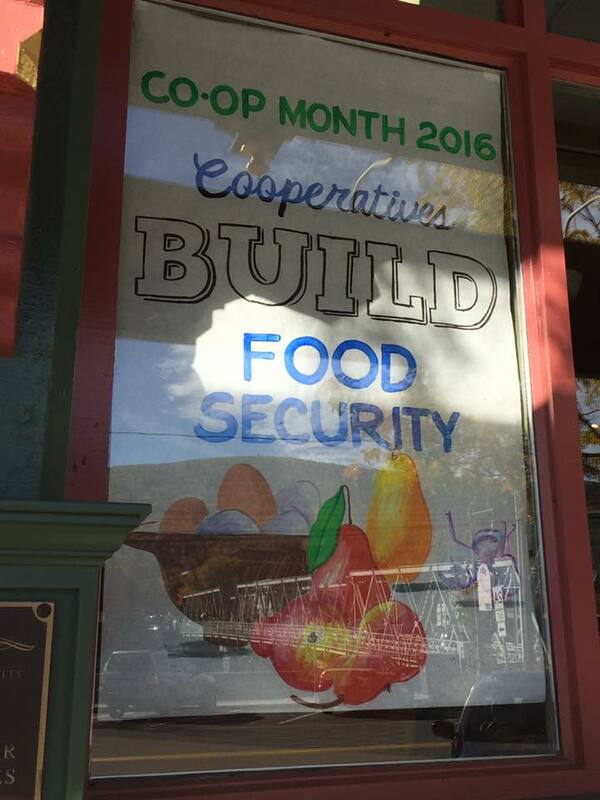 Other co-ops, such as Portland Food Co-op, used the opportunity to celebrate in multiple ways, including membership drives, community education and outreach. The NFCA’s sample news story helped member co-ops spread the word about how co-operatives build their communities. Co-op Food Stores of New Hampshire and Vermont adapted the story for their blog, while Merrimack Valley Food Co-op used the press release to attract attention from the local press on their efforts to launch a new food co-op in Haverhill, MA. Our partners at Hunger Free Vermont and Cooperative Fund of New England to share our work together improve access to healthy food and community ownership in a story that was picked up by Food Solutions New England and Vermont’s Farm to Plate initiative (see story below). The NFCA was also proud to receive the’Emilia Romagna’ Cross Sector Collaboration Award at the 11th Annual Meeting of the Valley Alliance of Worker Co-ops, held at Brattleboro Food Co-op in VT.
A number of food co-ops organized screenings of the film 2014 film Food for Change, while the NFCA worked with the Valley Co-operative Business Association in Massachusetts to present a special prerelease viewing of “In the Spirit of Cooperation,” a new Visionaries documentary produced for PBS to celebrate the 100th Anniversary of NCBA CLUSA. The documentary will be shown this Fall on PBS stations across the country – a great opportunity for potlucks and house parties for people who want to share the co-op story with friends and family. An updated schedule is posted on the Visionaries website. Meanwhile, in Northampton, MA, River Valley Co-op participated in a Co-op Month Panel on local radio station WHMP along with representatives from other local co-ops including Our Family Farms, Pioneer Valley PhotoVoltaics, and the Valley Alliance of Worker Co-ops. Some of our region’s food co-ops also took the opportunity of Co-op Month to help raise funds for co-operative development. Wild Oats Co-op Market set aside a day to raise money for the Howard Bowers Fund, donating one percent of all sales receipts to training and education for food co-op managers, staff and boards throughout the U.S.
Every October, co-operatives and their members celebrate Co-op Month and the difference that co-ops make in our communities. This year food co-ops across the Northeast used the opportunity to tell our stories and communicate how co-operative enterprise empowers people to build community, more sustainable jobs, and food security. Together, food co-ops are spreading the word about we are building a better world. This October, New England’s food co-ops joined more than 30,000 co-ops and credit unions across the United States in celebrating the many ways that co-operatives help to build strong communities as part of National Co-op Month. Food co-ops share a commitment to offering quality, healthy food, and many throughout the region are taking new steps to ensure that their products are affordable and accessible to everyone. Over 15 food co-ops in New England are partnering with the Neighboring Food Co-op Association, the Cooperative Fund of New England, and Hunger Free Vermont to launch and expand “Healthy Food Access” initiatives in their communities. These programs, coupled with efforts to make sure all feel welcome at their local co-op, are helping thousands of people put healthy food on their tables. Many food co-ops are offering needs-based discounts and lowering their prices on staple foods and household products like milk, bread, and toilet paper. “Food for All (FFA)” programs, based on efforts first launched at City Market in Burlington, VT and Hunger Mountain Co-op in Montpelier, VT, are available at more than 10 co-ops, offering a discount of at least 10% off groceries and household items to members in need. “Food co-ops have a long history of working to address issues of food security,” said Bonnie Hudspeth, Member Programs Manager for the Neighboring Food Co-op Association. “And we’re excited to see this commitment continue as we work to make healthy food and co-op membership more accessible and affordable.” As early as the 1840’s, communities began forming co-ops as a way to gain more control over the price, quality, and availability of healthy food, and this commitment remains today. Hunger Mountain Co-op hosted Neighboring Food Co-op Association’s (NFCA) first Peer HR Department Training on September 13th. More than 20 HR/Finance staff from 15 NFCA member co-ops from across New England attended the event. NFCA’s peer training events are designed to bring together staff from neighboring food co-ops for shared learning and support by providing valuable information for addressing challenges and sharing innovations and case studies, while creating ongoing networking and peer support opportunities among Neighboring Food Co-op staff in our region. The day included presentations from NFCA staff and HR staff, Show and Tell and concluded with a store tour of Hunger Mountain Co-op led by General Manager Kari Bradley. 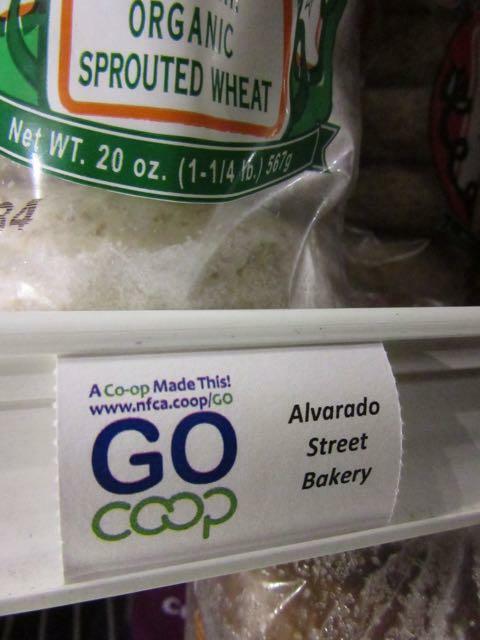 Have you noticed the “Cave to Co-op” signs in the cheese section of your local foo d co-op? The project is a partnership between Provisions Internationaland the Neighboring Food Co-op Association (NFCA) to support artisanal cheese producers in our region and make their products more easily available to co-op shoppers. Each month, a delicious local cheese is featured at a great price. 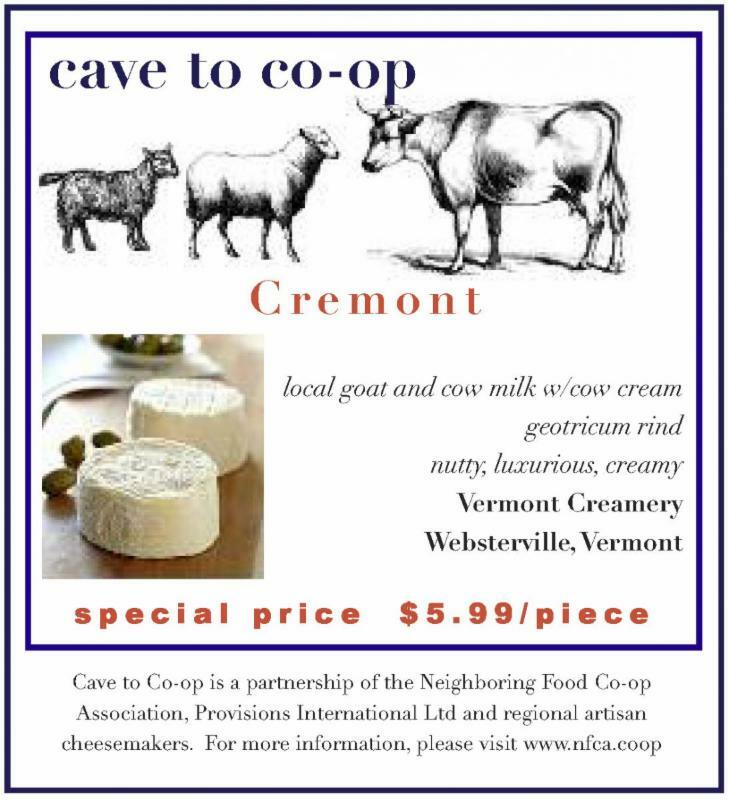 November’s “Cave to Co-op” special artisan cheese is “Cremont” from Vermont Creamery in Websterville, VT. Cremont cheese is named for the “Cream of Vermont” is a mixed-milk cheese combining local fresh cows’ milk, goats’ milk and a hint of Vermont cream. The bounty of the harvest season in the Northeast may have passed, but you can still enjoy delicious frozen produce – including Blueberries, Organic Broccoli, Organic Edamame, Organic Green Beans, and Sweet Corn – from our region’s family farmers. Neighboring Food Co-op Association’s (NFCA) “Farm to Freezer” frozen fruits and vegetables are grown and packaged right here in the Northeast, and sold in the freezer section of your local food co-op. As our harvest season comes to a close, you can continue to enjoy delicious, regional produce this winter and all year ’round! Ask for these Northeast Grown frozen fruits and vegetables, and find them in the freezer section at your local NFCA member food co-op. They’re easy to find: they’re packed in a clear package so you can see what’s inside! Serves 2 as a generous side dish. Multiply for more guests! For more information on our sourcing efforts, please visithttp://nfca.coop/regionalsourcing. The Seventh Annual Convention of the New England Farmers Union (NEFU) is coming up on December 2-3 at the Hartford/Windsor Marriott Airport Hotel in Windsor, Connecticut. O rganized around the theme “Harvesting Solutions,” this event will be an important opportunity for people who care about our region’s food system to gather and continue to advocate for agricultural policies that will support New England’s family farmers and feed our communities. Connecticut Agriculture Commissioner Steven K. Reviczky will be one of many agricultural leaders to be addressing the convention on Saturday, December 3. Commissioner Reviczky is well known and well respected in Connecticut’s agriculture community. He has focused on opportunities to create jobs and strengthen the state’s agricultural economy. He also directed one of the most successful agricultural legislative agendas in the agency’s history. Also addressing the convention on Saturday will be National Farmers Union(NFU) Senior Vice President of Public policy, Robert Larew. NFU, the nation’s second-largest general agriculture organization, with roughly 200,000 members, has been advocating for family farmers and co-operative enterprise since 1902. Larew will give an update on federal agriculture policy and how our region’s food system advocates can engage as a new administration takes office. Other invited speakers include; Joe Courtney, United States Representative, Connecticut’s 2rd Congressional District; and Chris Murphy, United States Senator. On Friday, December 2, NEFU will be offering a Produce Safety Alliance Grower Training Course in collaboration with Cornell University. The course will be led by Elizabeth A. Bihn, Ph.D, Director, Department of Food Science, Cornell University, as part of the seventh annual convention of the New England Farmers Union, Harvesting Solutions. The Produce Safety Rule, which is now in effect, establishes science-based minimum standards for the safe growing, harvesting, packing, and holding of fruits and vegetables grown for human consumption. The Produce Safety Alliance (PSA) has developed a standardized curriculum approved by the Food and Drug Administration (FDA) to satisfy the training requirements outlined in the rule. It is currently the only FDA recognized training, though more options are expected to emerge. The course will provide a foundation of Good Agricultural Practices (GAPs) and co-management information, Food Safety Modernization Act Produce Safety Rule requirements, and details on how to develop a farm food safety plan. After attending the course, participants will be eligible to receive a certificate from the Association of Food and Drug Officials (AFDO) that verifies they have completed the training course. Registration fee includes the training materials, lunch, refreshments, and a Certificate of Course Attendance issued by AFDO. Participation for the entire training is required for the certificate. Registration Deadline: November 25, 2016. The general public is invited to attend both the Produce Safety Alliance Grower Training Course and NEFU’s Annual Convention, where members will discuss, debate, and vote on updates to NEFU’s Policy Book, which guides the work of the organization. A full agenda, including a talk on New England farm economy, a presentation on antibiotic stewardship and health care practices for food animals, and a discussion about what to expect throughout the implementation of the FDA Food Safety Modernization Act, are available online. Come to the 7th Annual New England Farmers Union Convention in Windsor, CT at the Hartford/Windsor Airport Marriott Hotel, December 2-3, 2016. The 2016 National Domestic Fair Trade Conference: Fair Trade and Racial Justice in our Agricultural System will be held at The Hilton Portland located at 921 SW 6th Ave, Portland, OR 97204.